Ministry of Railways have signed a Memorandum of Understanding (MOU) in February, 2010 with Ministry of Human Resource Development (HRD) for development of educational facilities for wards of railway employees as well as of children living in the vicinity of railway habitations. This MOU, inter-alia, envisages setting up of 50 Civil Sector Kendriya Vidyalayas by Ministry of HRD on the land to be provided by Railways during 11th and 12th Plan periods. 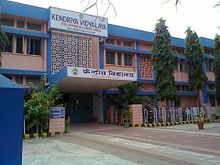 Pursuant thereto, Ministry of HRD has sanctioned twelve new Kendriya Vidyalayas namely at Carriage Repair Workshop Harnaut (Bihar), Cast Wheel Plant, Bela (Bihar), Railway Campus, Nanded (Maharashtra), Railway Campus, Rangiya (Assam), Freeland Ganj Railway Colony, Dahod (Gujarat), Krishnarajapuram Diesel Loco Shed Colony, Bangalore (Karnataka), Shakurbasti, West Punjabi Bagh (Delhi), Bandel Railway Colony, Hooghly (West Bengal), Angul (Odisha), Golden Rock, Tiruchirapally (Tamil Nadu), Rail Coach Factory, Raebareily (Uttar Pradesh) and Jhajha, Jamui (Bihar). This information was given by the Minister of State for Railways Shri Manoj Sinha in a written reply to a question in Rajya Sabha today. Upgradation of stations has been undertaken under Adarsh Station Scheme. Selection of Railway stations as Adarsh Stations is based on the identified need for upgradation of amenities. Since the year 2009, stations’ upgradation is being done under Adarsh Stations Scheme. 1195 stations have been identified under Adarsh Station Scheme out of which 949 stations have been developed so far. The expenditure on development of stations under Adarsh Station Scheme is generally funded under Plan Head – ‘Passenger Amenities’. In addition, 7 stations have been entrusted to Indian Railway Stations Development Corporation Ltd./Rail Land Development Authority for redevelopment to international standards. Two stations are identified for prefeasibility studies by China Railway Construction Engineering Group at their cost under an MOU between Indian Railways and National Railway Administration, Government of the People’s Republic of China. Further, a proposal to offer ‘ A-1’ and ‘A’ category stations for redevelopment on ‘as is where is’ basis by inviting open bids from interested parties with their design and business ideas duly providing for amenities and other requirement of the Railways including permitting commercial development by Zonal Railways has been recently approved by the Cabinet. The cost of such station redevelopment is to be met by leveraging commercial development of land and air space in and around the Railway Station. There are a total of 1,38,912 bridges on Indian Railways out of which 35,437 bridges are more than 100 years old. However, the age of the bridge does not have any direct relevance on the physical condition of the bridge. There is a well established system of inspection of bridges on Indian Railways. All the bridges are inspected twice a year, one before the onset of monsoon and one detailed inspection after the monsoon. In addition, the detailed technical inspection of certain bridges is also carried out at specified periodicity by the designated officials. Repair/strengthening/rehabilitation/rebuilding of bridges is a continuous process and is undertaken whenever so warranted by their physical condition as ascertained during these inspections and not on the basis of age. If the corrective/remedial measures are expected to take a long duration due to the complexity of the site situation, etc., suitable safety measures like imposing speed restrictions and keeping such bridge under close watch are taken till the bridge is repaired/strengthened/rehabilitated/rebuilt. During the last five years, 4338 bridges have been repaired/strengthened/rehabilitated/rebuilt on Indian Railways. All passenger carrying trains are provided with First Aid Boxes containing essential drugs and dressing materials. In addition, Augmented First Aid Boxes with wide range of medicines, disposable medical material, etc. have been provided with the Train Superintendents of Rajdhani/Shatabdi Express trains and Guards of other nominated trains. The front line staff deployed on trains is trained in rendering First Aid. Trains can also make unscheduled halts, if necessary, at the stations en-route in emergencies. The Station Masters have details of doctors, clinics & hospitals, both Government and Private, in the vicinity of the station, so that their services could also be availed, in emergencies. However, in case of medical emergency passenger can contact helpline number 138 through their mobile or inform on-board Ticket Checker for arranging medical assistance. Indian Railways takes measures to ensure that common man’s access to the railway ticketing system is not affected. Some cases of touting activities come to notice during checks conducted by Railways, particularly during peak rush period/festival seasons. · 772 touts were prosecuted and 135 convicted during last three months i.e. April, May and June, 2015. · No case of involvement of Railway officials in allotment of HOR Quota has come to notice of Railway Board Vigilance. Ø Surveillance at reservation offices has been stepped up by installing Close Circuit Television at important Passenger Reservation System locations, to keep watch on any possible touting activities. Booking pattern at reservation offices are also monitored for detecting unusual pattern and fraudulent working of touts. Ø Carrying of prescribed original Identity Proof has been made compulsory for one of the passengers while undertaking journey in reserved class. Ticket checking staff have also been asked to be more vigilant and conduct proper/thorough checks of prescribed proofs of identity of passengers undertaking journey in reserved coaches. Ø Touting activities occur due to gap between demand and supply of reserved accommodations. To meet the additional demand of reserved accommodation, especially during festivals and peak rush periods, special train are run, carrying capacity of existing trains is augmented depending upon the pattern of traffic, operational feasibility and availability of resources. Ø General public are also educated through Public Address System and media, not to buy tickets from touts/unscrupulous element and consequences of buying tickets from these sources. Ø To curb malpractices by Railway Staff in connivance with touts, checks are conducted in booking offices, reservation offices, trains etc. Stringent action is taken against the railway staff under Disciplinary and Appeal Rules, if found indulging in malpractices. The proposal for construction of railway lines along China border has been initiated by Ministry of Defence as strategic line. Ministry of Defence has identified four strategic lines along India-China border viz. (i) Missamari – Tenga – Tawang (378 Km.) (ii) Bilaspur – Manali – Leh (498 Km.) (iii) Pasighat – Tezu – Rupai (227 Km.) and (iv) North Lakhimpur - Bame (Along) – Silapathar (249 Km.). Ministry of Railways has requested Ministry of Defence to convey approval to carry out Final Location Survey at a cost of Rs. 345 Crores and provide the necessary funds. None of these projects has been sanctioned. The time of completion and cost cannot be ascertained till completion of the Final Location Survey and detailed geo-technical studies, as all these projects pass through very difficult terrains of young Himalayas.